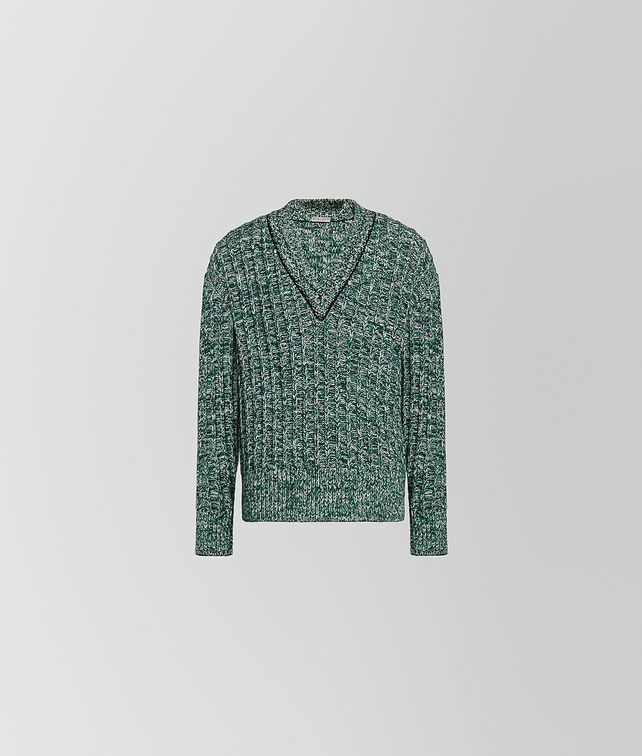 This ribbed V-neck pullover is crafted from wool mouliné to give it a unique texture and distinctive hue. The style, featured in our Cruise 2019 presentation, is detailed with black knitting at the collar and wide ribbed trim. It pairs beautifully with the collection’s lively colours and eclectic prints.